If you are really in need of a robust firewall with add-on features, there are some reliable third-party firewall to deliver better protection and control. Following are the top 3 Firewall which is efficient protect your PC. It is wise to know the importance of firewall. When you connect to the Internet your data can be easily accessed on both sides. If the users’ PCs are not protected, hackers find easy ways to send in malicious code to attack the PC or can find weak security holes and exploit the same, to steal data and damage the system. The Firewall functions as a filtering system to scan the data and filter out the malicious data from entering the network. It is considered as the first line of defense. 1. You don’t want your data to be transmitted out by any applications, which are not authorized to collect and transmit i.e. you want full control as which application can connect to Internet and which cannot. 2. You don’t want your computer to be hacked due to any internet facing exploitable service running in your system. The 1st requirement allows you to control that your data is not transmitted even if you have a malware active in your computer while 2nd control allows that even if you have an unpatched vulnerable service running in your system, it can’t be exploited and end up becoming an entry point for zero-day malware. If you are concerned about above two, you definitely need a Desktop firewall. Comodo offers an award-winning best firewall for free, with multi-level security approach. It functions efficiently to monitor the communication to and from the network to battle against malicious threats from entering the network. It checks and alerts the user on any hacker’s activity against devices’ ports and stops the malware or the malicious code from infecting the system. Allows your computer to be completely stealth i.e. from outside world, your computer doesn’t seem to exist as no port is shown open when external scan is run, while at the same time it can connect out and access desired services. Offers default-deny protection i.e. an unknown application runs inside a container and can’t harm computer i.e. ideal to protect computer from zero-day malware. Unlike its counterparts, Comodo firewall holds a cloud-based repertoire of more than two 1.5 billion “safe” apps with 30 million safe applications being added every month. It alerts the user when any other app which is not a part of the Comodo safe list, tries to connect outside the system. Zonealarm is another popular firewall program that offers protection with an interface that can be customized. It scans for both outbound and inbound connections and ensures to drive away any malicious activity when detected. Also, it protects the applications and software installed from getting infected. Tiny wall is another good option, however, doesn’t have its own interface. It positions itself on the system tray and works from there. This makes the firewall use one-third of the PC resources. Windows is the most widely used Operating System for many a reason, due to its high popularity, hackers target Windows systems to steal inform. 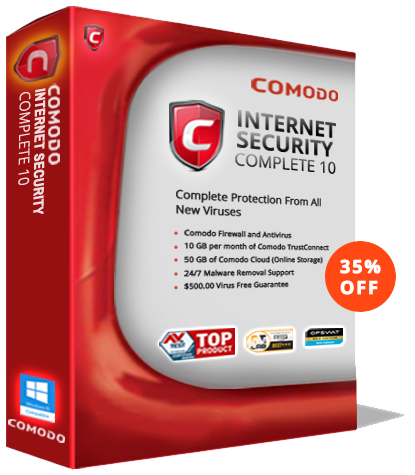 Hence use of an efficient Firewall for Windows like Comodo Firewall is highly recommended to stay ahead of threats.